When considering which Indian racing car driver could be racing in Formula 1 next, Jehan Daruvala and Arjun Maini are two names that are top-of-mind. However, for many years now, another junior driver, Kush Maini, has been sharpening his skills and delivering results in junior formulae to grow the list of probable drivers from two to three. Yes, ours is a large country and it isn’t uncommon for people to share their last names — but Kush is indeed Arjun’s younger brother. Kush, whose most impressive record in karting was finishing 4th in the CIK-FIA World KF-Junior Championships, graduated to single-seater racing with the Formula 4 series in 2016. After racing in the Formula 4 class for two years, the 18-year old Bengaluru lad competed in the uber-competitive British F3 series in 2018. 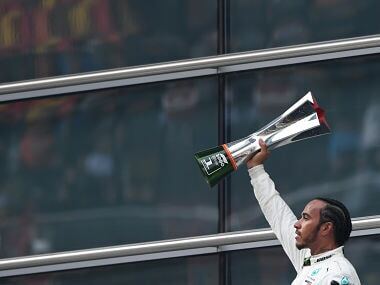 In fact, he was in championship contention till mid-way through the 2018 season eventually finishing 3rd — a notable finish given that it was his debut season. In this freewheeling chat with Firstpost, Kush shares his plans for 2019 and more. Of course, the question remains about why Kush did not then choose to spend a second season in British F3 and challenge for the crown. Kush explained, “The reason I chose to compete in the Eurocup this year was due to the upgrade in cars as well as the fact that the series runs on several F1 circuits including Monaco.” The 3rd round of the 2019 Formula Renault Eurocup will be the support race for the 2019 Monaco Grand Prix on 25-26 May. In an overall sense, Kush has taken the right steps with an eye on the eventual prize — Formula 1. 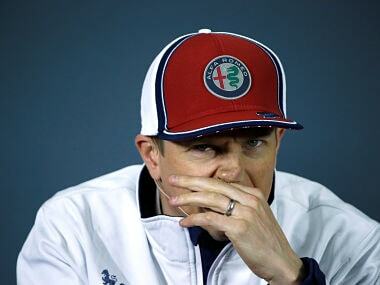 His advisors must be applauded for not trying to rush through junior formulae of racing. This is where the examples of Max Verstappen and Charles Leclerc who graduated to Formula 1 as early-adults can be misleading. It is absolutely okay for young drivers to take their time and arrive at the doorsteps of Formula 1 when they are ready. Before the arrival of the current young prodigies, entering Formula 1 in the early or mid-20s was the norm. The Formula Renault Eurocup is one of Europe’s most competitive junior single-seater series with race winners and champions including Lewis Hamilton, Valtteri Bottas, Daniel Ricciardo, Carlos Sainz Jr and Stoffel Vandoorne. More recently, it helps that this was the path followed by Leclerc and Norris, two of the most talented young drivers on the current F1 grid (they were also junior drivers of Ferrari and Mclaren, respectively). This season, the Renault Eurocup will utilize Formula 3 chassis for the first time and new 1.8-litre turbocharged engine — a combination that Kush is familiar racing from in 2018 (although the engine will be 60-70bhp more powerful). There are several talented young drivers on the grid and performing well against them will add to Kush’s reputation. Interestingly, F1 double world champion Fernando Alonso’s FA Racing team officially joins the 2019 grid too. And of course, one would expect the Renault Eurocup to cost lesser than a full F3 program. Let’s remember, Indian racing drivers are still struggling to find consistent support in the form of corporate sponsorship. For 2019, Kush’s talent and familiarity should see him emerge as a top-3 finisher in the championship, if not the champion. In the pre-season testing, Kush has matched pace with his rivals and ended the final pre-season test on Thursday in 3rd place overall. This morning and in the 1st qualifying session of the Formula Renault Eurocup’s opening round in Monza, Kush qualified a respectable 4th — 3 tenths adrift of his rivals. Kush’s team in the Renault Eurocup, M2 Competition, is debuting in Europe this year (they have previously only raced in the Toyota Racing Series in New Zealand). Joining a new team is always risky — but with everything to be gained. Explains Kush, “While some might consider signing for M2 a risk given they are new to the series, I am confident in their ability. We have an existing relationship with them as Arjun raced for them in the Toyota Racing series in 2015 and I feel very comfortable with the working environment.” Kush’s confidence is understandable, but here’s hoping that M2’s inexperience doesn’t turn out to be the Achilles heel in Kush’s 2019 campaign. Arjun made news by landing a development driver role with Haas in 2017 and while the role hasn’t yet converted to a rookie test, Kush shared with us that he was in fact targeting a development driver role, saying, “A development driver role definitely boosts your chances of a F1 seat.” This is true - for most junior drivers, this sort of an association with a F1 team adds experience and exposure, like we’ve seen in the case of Charles Leclerc. However, a possible caveat with such an opportunity would be that it comes at a cost that’s over and above a driver’s annual racing budget and with little guarantee of a F1 test. The motorsport ladder is complicated and ever-evolving, but both Maini brothers are making smart decisions while keeping their focus on Formula 1. 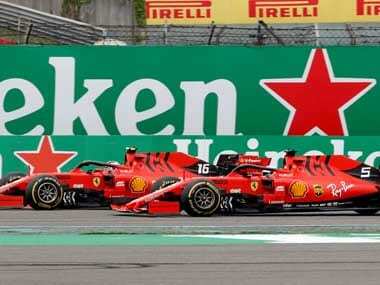 It’s with this same spirit that F1’s former double World Champion Fernando Alonso is redefining the motorsport landscape by racing across various series. 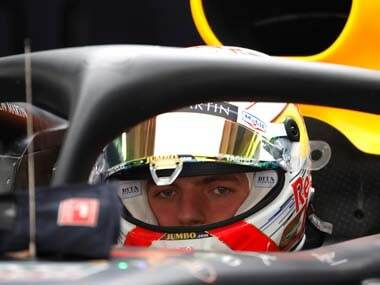 However, in the case of Kush, 2019 will be a defining year and a top-3 in the championship or the win will bring him in the radar of Formula 1 teams and set him up well to pursue the FIA F3 Championship in 2020. Here’s hoping that Indian motorsport fans are treated with the Indian national anthem playing on the podium on multiple occasions.